After many years Ford has a little van again. And what a little van it is. 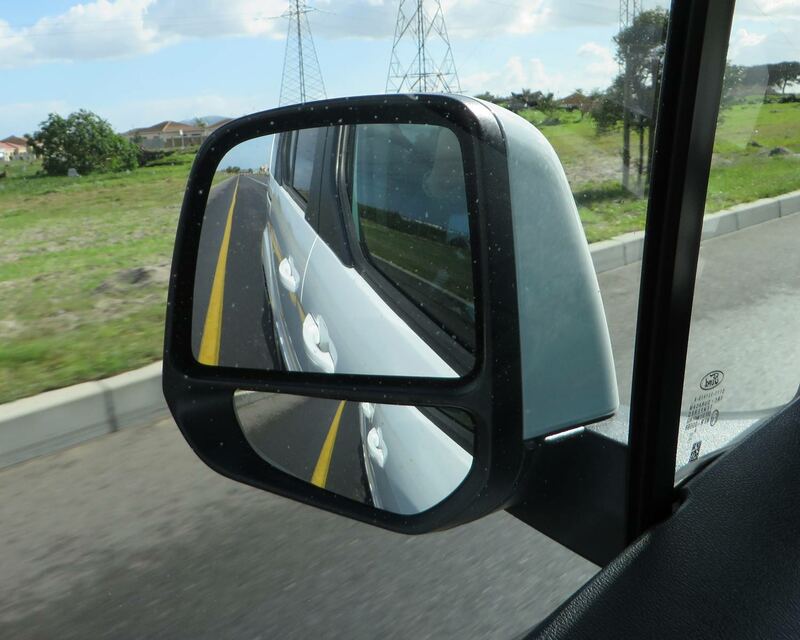 The Ford Tourneo comes in two sizes, three trim levels and choice of two engines. 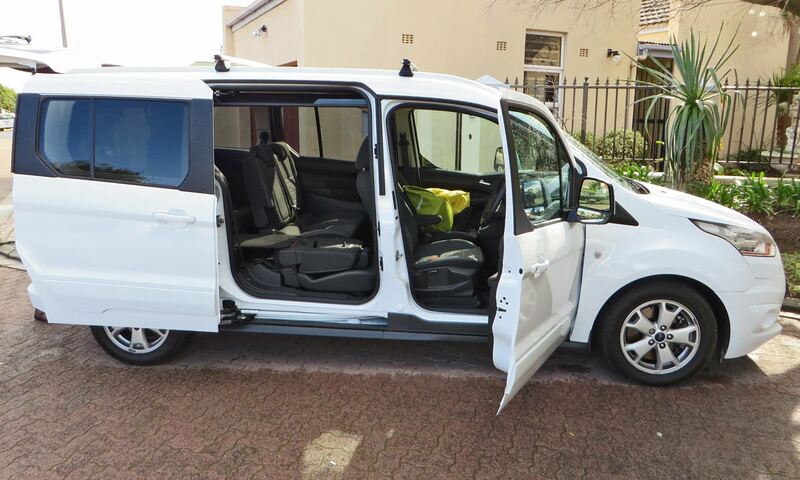 The Grand Connect 1.6 Automatic we drove is a 7-seater MPV (multi-purpose vehicle), the smaller model a real 5-seater. The Connect may look like a van but it drives like a car, feels like a car. The Titanium model even has climate control and of course cruise control. It has a full trip computer indicating distance to empty, instant and average fuel consumption, average speed, outside temperature and so on. 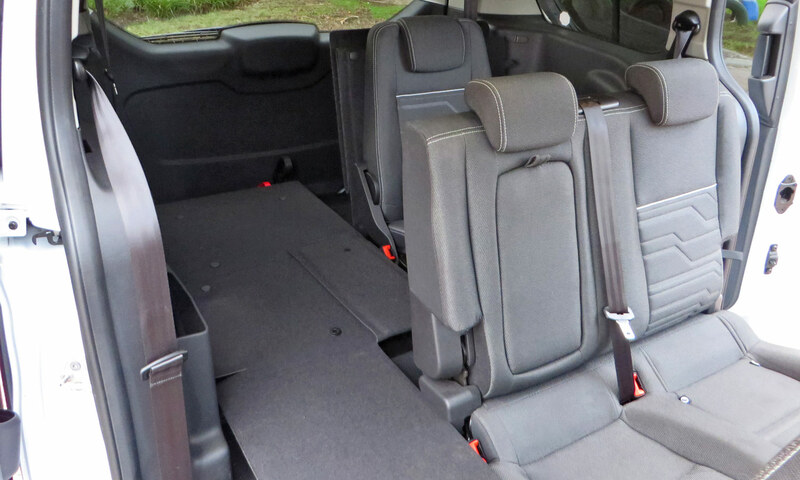 There are sliding rear doors on both sides for very easy access. The driver’s seat is very good with 4-way adjustability: fore/aft; recline: up/down & lumbar adjust. I got a fuel consumption of 9.2 litres/ 100km overall and around 8 on the open road. The SWB 1litre model will get around 6 litres/ 100km overall. The 1.6 engine delivers more than enough usable power and is quite gutsy in this application. I am told the 1.0L engine in the SWB models is also very effective. The interior, at least for the front row is very car like. The dash and interior are well laid out and all the buttons are where they should be. There is a ton of storage – from storage compartments on the facia top with lift up lids to overhead stowage lockers. You will find a spot for everything. The audiovisual system is typical modern Ford (in other words good) and offers two power point sockets at the front and rear of the console. Normal models have air-conditioning but there is climate control in the Titanium model which has many luxury items including for example leather steering wheel and gear knob and panoramic roof. 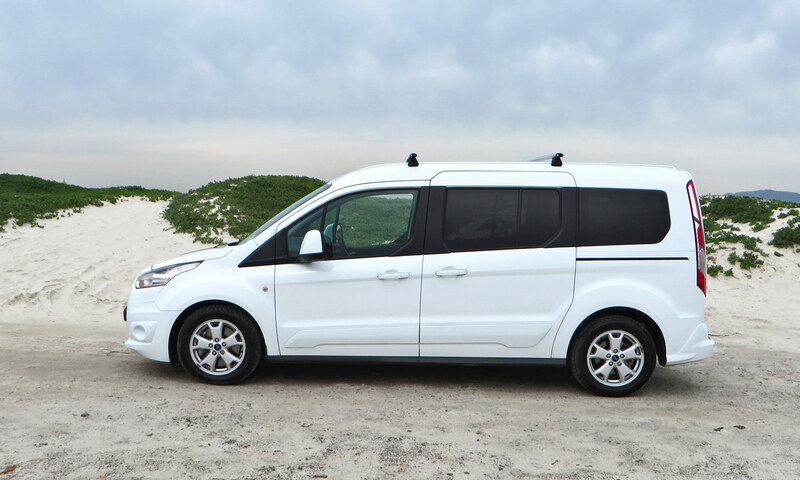 This van has Hill Launch Assist and an impressive list of safety and handling aids including Roll-Over Mitigation, Torque Vectoring Control, Electronic Stability Programme and Electronic Brakeforce Distribution. In short, she handles like a car because she has been engineered to. 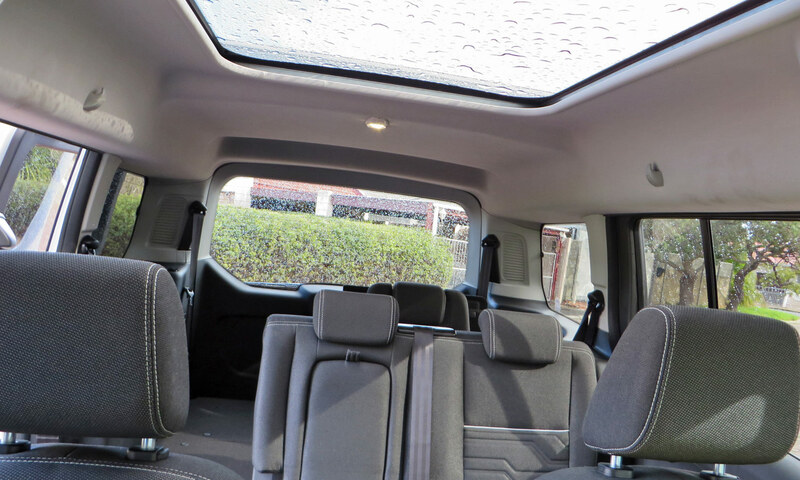 The optional panoramic roof window fitted our car is a amazing. It gives you a whole new way of looking at the world. The tiered wing mirrors are inspiring. Look for yourself. The Tourneo Connect is practical, handles and goes well, has loads of features and is good value for money. Starts at R273 900 for the 1.0 EcoBoost Trend SWB, R283 900 for the Ambiente and R363 900 for the 1.6 EcoBoost (or 1.6 TDCi) Titanium LWB we tested. Also look at Toyota Avanza, Suzuki Ertiga, Honda, Nissan NP200, Golf SV, Citroen C4 Picasso, Opel Meriva. Warranty is 4 years or 120 000km and the service plan is for 4years or 60 000km. 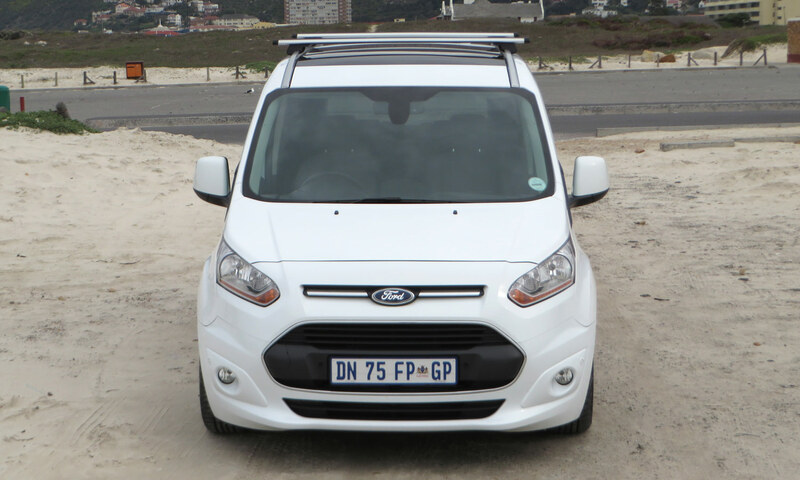 This entry was posted in Reviews and tagged 2015, automatic, Ford, MPV, petrol, Review, South Africa, Tourneo, turbo, van. Bookmark the permalink.